For your consideration: The Clan. 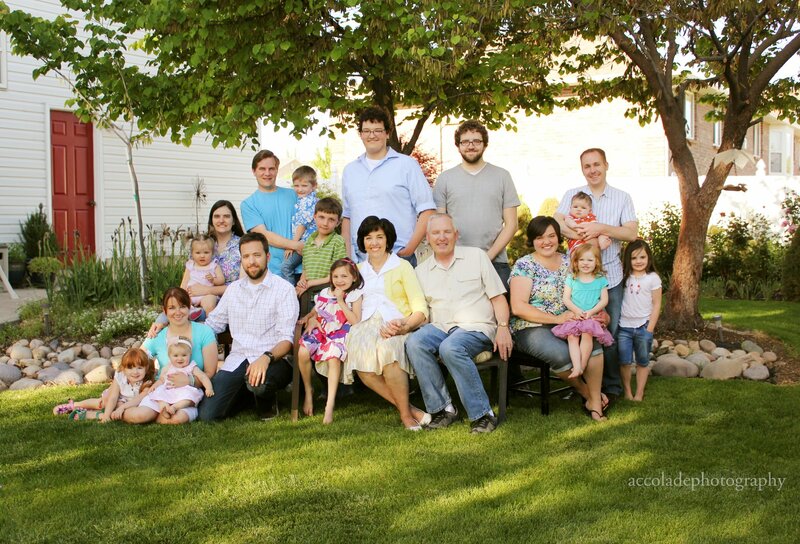 My sister, Liz, decided to make an extended trip to Utah this summer, and my mom made it a point to get a new family group portrait taken a.s.a.p. Why? Because the old portrait (from December 2010) has my brother’s ex-girlfriend in it. Anyway. Don’t we clean up well? The photographer said she “only had to swap out 6 of the heads.” Which made little phantom spiders do a fox trot on my spine.